– How many of you have found yourself staring into the pantry or fridge at 5pm “What should we eat?”. Sitting down once a week and making a menu plan eliminates the 5pm frazzled panic. – Yes, it takes time to setup but after the first set up it saves LOTS of time. 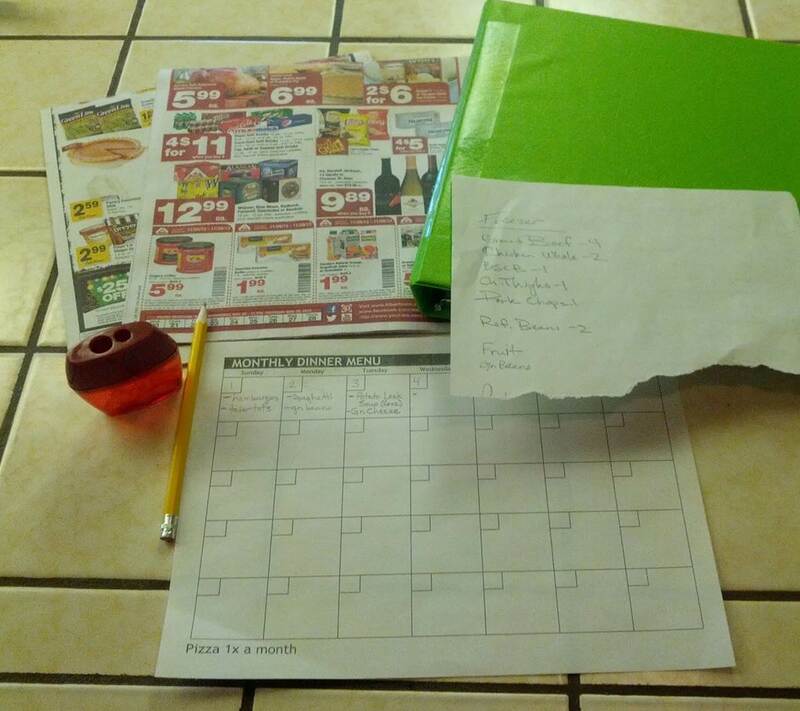 Planning meals in advanced saves time each evening AND time shopping. o Meal time is a great time to nurture your families minds and bodies. I less stressed cook means a less stressed family at meal time and allows you to focus on each other. 3) Make meals a family affair. If the meal is planned then having kids (especially little ones) help is easier. This is not easy for me to do because I like to cook without little hands slowing me down, but I pick a “quick” meal for them to “help” with. – Planned, once a week shopping where you buy all the groceries you need for the week saves LOTS of time and Money. – Making a list helps reduce spur of the moment purchases. – Allows you to take advantage of sales items because you know what you will be using. A great deal is NOT a great deal if it just sits in the pantry or goes bad. Everyone is going to do this a little differently. Do what works for you. What matters is that you do it and it works for your family. In the next couple weeks I will introduce the plans I have used in the past, the plan I am using currently, share the meal planning essentials for any meal planning system to be a success and give you some resources to help you on your journey. I have also been a speaker at a couple MOPS (Mothers of Preschoolers groups) and talked on the topic of Meal Planning using this series. I am a teacher at heart and love to help others learn about things that help their families. It has amazed me that so many people don’t plan out their meals and honestly don’t know where to start. I hope this series blesses you and your family. If you have any questions please enter them below in the comments section. Love this! I don’t have a big family to feed but the afternoon dinner panic sure does sound like us. Lol Can’t wait to read the rest of your tips. I look forward to reading this series. I’ve thinking about doing this for awhile now! Do you budget a set amount each week? Do you plan all meals and snacks? Or just dinner? Thank you for all your tips! Dana, Thanks for your comment and questions! I will go over some of these details in the next couple parts but to address your main questions now… We just have a monthly set amount. I am organized but not as strictly organized as some other meal planners. I actually only plan dinners. I find that this is the most stressful meal of the day when it comes to planning and schedules. If I had children going to school outside of the home I would plan lunch, snacks and dinner. As it is, the older kids make their own lunches and they use leftovers a lot. I always make sure I have ingredients for sandwiches and some sort of cracker/chips on hand. 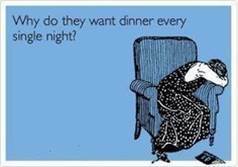 I would make those meals more rigid but I LOVE not making their lunches and they like the flexibility.